I like the idea of a Lake Drive, although I must say I'm not terribly familiar with the area (My parents are from Trivandrum, but not me). A Lake Drive would be interesting, but it has to be done right. The worst thing that would happen is if this road, however wide it is, proves to be a barrier to to the lake, cutting off people's views and pedestrian access to the water. The best bet, as you say, would be to ensure a 100m (at the very least) interval between the lake line and construction. I encourage you to look into Chicago (my home town)'s Lake Shore Drive, and Toronto's Gardiner Expressway. The former is a 10 lane road that does separate the city from its beaches, but decent pedestrian access has been provided so this is usually seen as nothing more than a minor nuisance. The Gardiner Expressway in Toronto, however, is viewed my most as an elevated atrocity that cuts off the city from the lake and should be destroyed as soon as something suitable comes up to replace it. The point is that a lake road can be done nicely, providing panoramic views with lovely landscaping, or just be another piece of pavement. You just have to be willing and able to pay for what is wanted. Excellent thinking.. Lets pray that someone responsible and powerful to 'implement' these things will read it.. Or better will be to make them read it. Thanks for the comments, Jason and Neo! I have got a lot of positive feedback on this article and I will try and ensure that a copy reaches some of the receptive powers-that-be. Then let's all keep our fingers crossed. Jason, as you mentioned, the idea of the Lake Drive is to both provide access to as well as protect the lake at the same time. It has to be designed not to impede the breathtaking view as well as to blend in with the locale. There is already a road which encircles part of the lake with a buffer zone in between. This is slated for development as part of the upcoming International Convention Centre. The existing stretch presents a golden opportunity to test the concept out. I just hope that the developers don't miss the boat! Cheers! The Toronto scenario you described is a far off prospect when compared to Akkulam. Ajay has envisaged the development of the existing road to Ulloor as a commercial-residential and entertainment area without obliterating the shoreline. So hinderance to public access is out of question. The Akkulam Driveway is a necessity for the commercial surge Trivandrum is experiencing as we have examples of how a waterfront district would elevate the business prospects and asthetics of a city. Even without proper infrastructure the lakefront is witnessing unprecedented projects inflow. So the Govt is just expected to streamline this natural growth by providing the basic amnities for this budding new town. Perhaps the govt. should look into creating a special planning authority for the Akkulam Zone (if there is such a thing. This would help prevent haphazard planning and building that is totally disconnected from the rest. And please, if at all possible, make the entire lake shoreline public land. I know it may seem like throwing away perfectly good land, but having that area free--plus some much needed parkland sprinkled throughout the area--would do wonders for the image and property value of the area. Central Park in New York, for example, undoubtedly pushes up the value of all the properties in Manhattan and perhaps throughout New York City. The 843 acre tract, if developed, might be worth $529 billion. (see here: http://ask.yahoo.com/20070202.html )But the value it brings, e.g. rising property values, 25 million visitors a year, concerts, festivals, art exhibits, etc, all mean the economic value of the park is countless times that amount, much more than putting up some condominiums (flats) would entail. It would be nice for Trivandrum to have a nice, beautiful park that would be the envy of cities across India, something that all people of all strata of society could enjoy. The quality of life aspect should not be sacrificed in the long term for a short term econmic gain. Trivandrum is already done proud by the presence of nearly 100 acres of gardens right in the heart of the city in the form of Museum & Palace grounds, Kanakakkunnu and Observatory hills. This not only serves as a green lung for the city but also creates a public space, tourist destination and unique landmark for the city. Trivandrum also has the 100 acre Kowdiar Palace and also numerous parks and palace grounds, which make the place stand out among contemporary city structures. What you have said is extremely important if you consider the similar needs of the rapidly evolving new city. 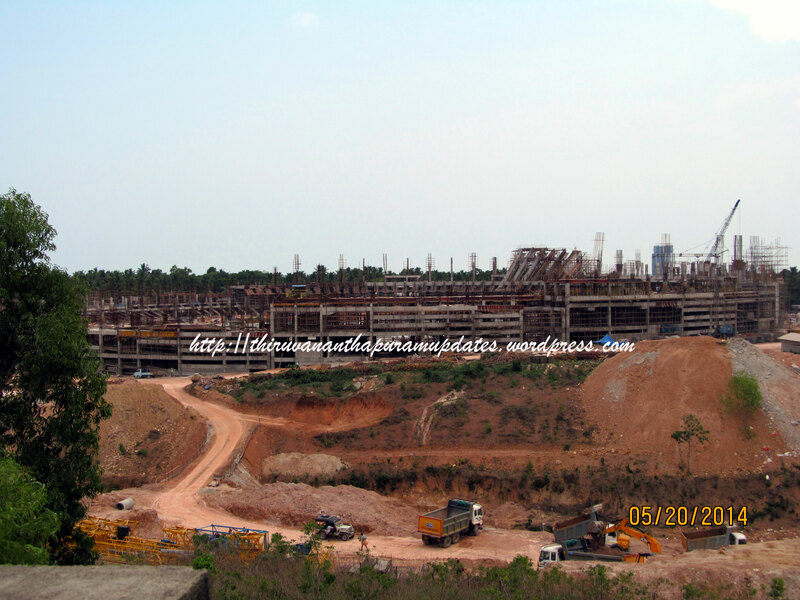 Akkulam shoreline has got a fantastic chance to create a leisure zone as in other major cities. The image of the city would have a tremendous boost if planned in an imaginative and methodical way.